Whether you’re ready to move to a senior community in the next few years or five years down the line, it’s important to become acquainted with your options. What financial and legal considerations are there? How do you transition out of a home you’ve lived in for decades? Do you have to be retired to live in a senior community? 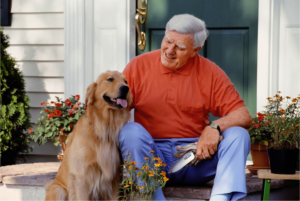 What’s the difference between assisted living communities and life plan communities? You’ll come to know the facts, learn about the myths, and hear from a diverse panel of experts. For information about long term care insurance policies and senior living terminology, please click here. Life Lessons is a series of LIVE television events from CPTV in which local experts help us find smart ways to make big decisions, solve problems, and ace the biggest test of all – LIFE! Visit cptv.org/lifelessons for more information. Learn more about Partnership Productions at cpbn.org/partnership-productions.